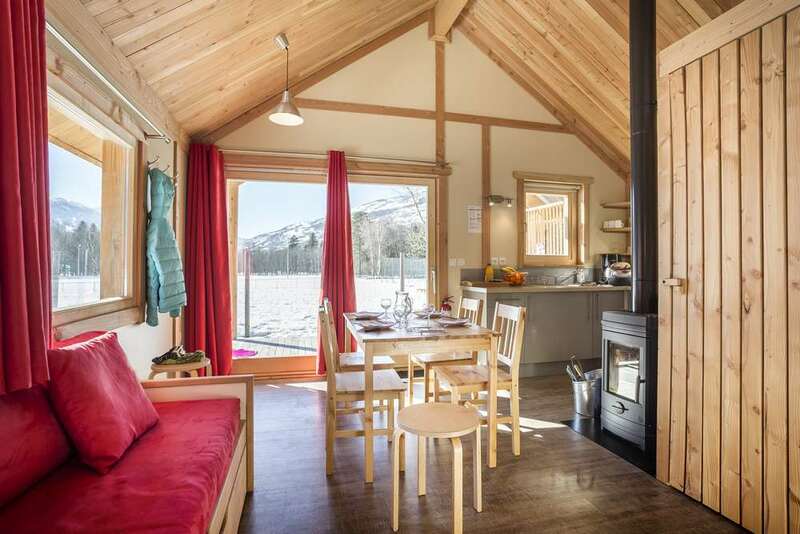 This winter, enjoy a relaxing stay in your caravan, motorhome, or rental chalet at Huttopia Bourg-Saint-Maurice, on the road to Les Arcs. 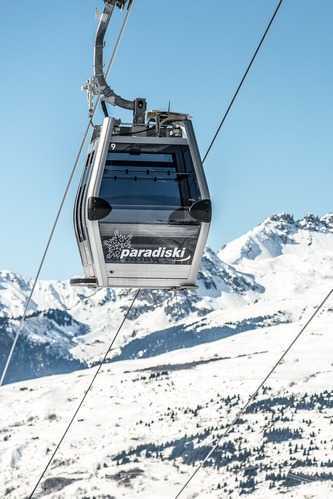 The Paradiski ski area is on your doorstep! 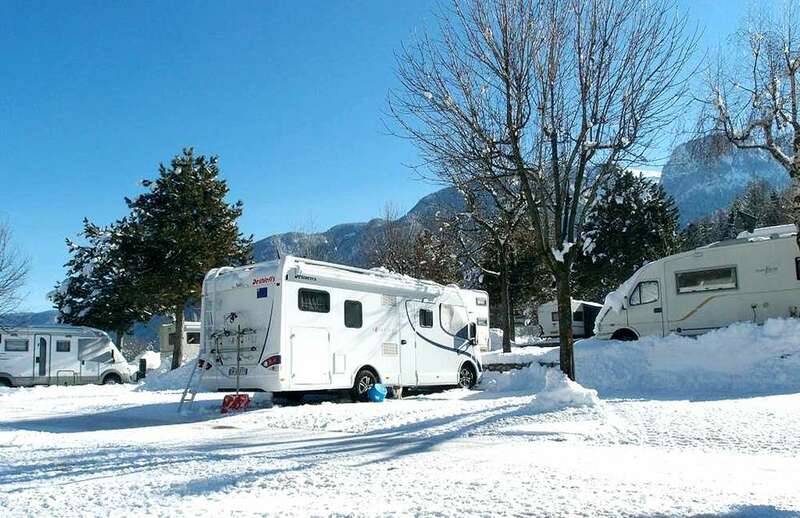 Just a stone’s throw from the resort of Les Arcs and one of the largest ski areas in the world, Huttopia Bourg Saint Maurice winter caravanning site is an ideal destination for anyone who loves the mountains and snow sports. Its location at the crossroads of the most prestigious resorts in the Haute-Tarentaise is unique. And the après-ski? 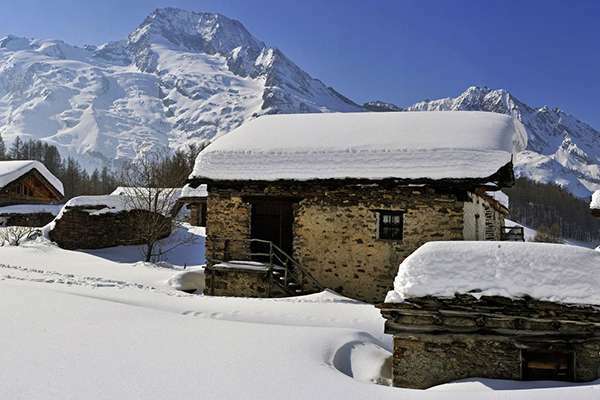 Discover the traditional local cuisine and cultural heritage of Bourg Saint Maurice with family or friends! 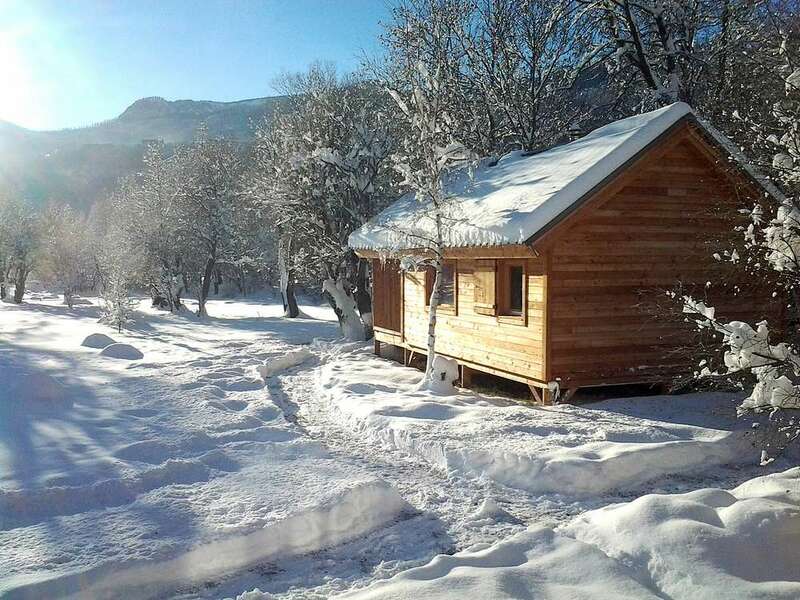 For mountain and winter sports lovers : stay in a rental chalet or with your caravan or motorhome! 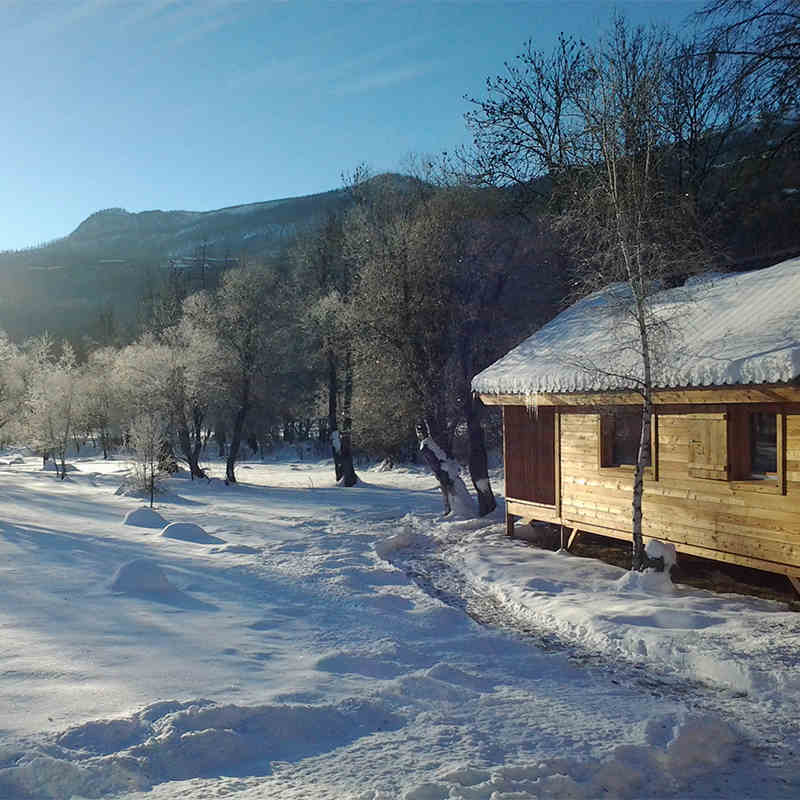 Stay on a beautiful site at 810 m altitude and enjoy unspoilt views of the mountains from your pitch or the terrace of your chalet. 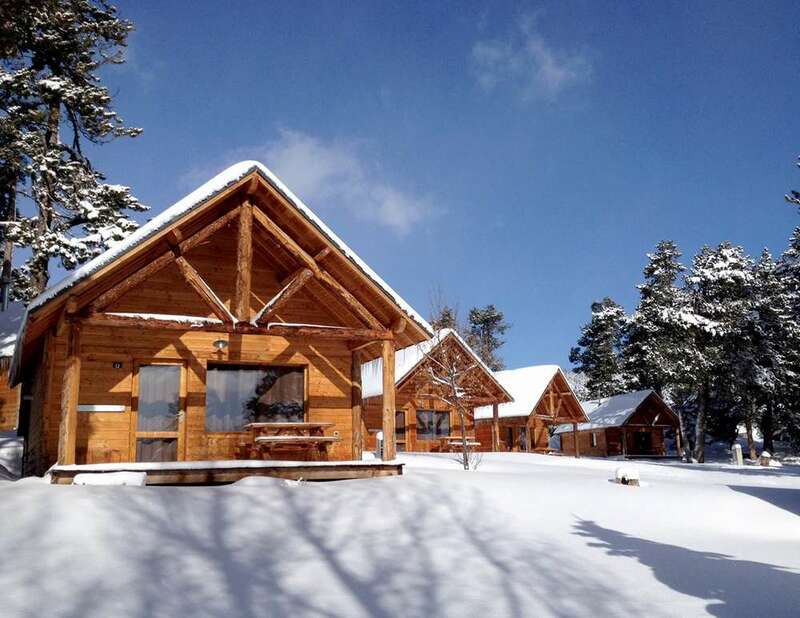 Downhill skiing, cross – country skiing, snowshoeing, ice skating… endless activities await you! 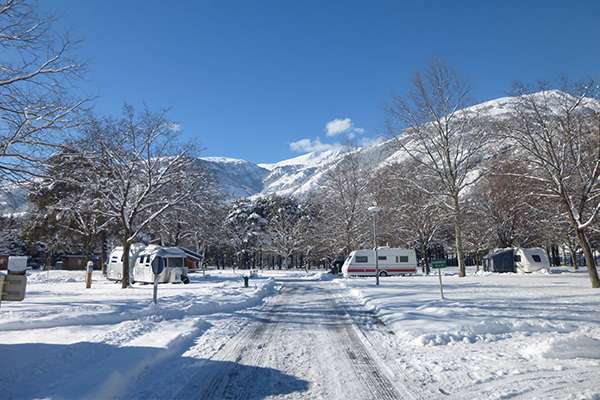 Huttopia Bourg Saint Maurice winter caravanning site boasts quality facilities: comfortable, heated washrooms, a cosy central lodge, and a reception where you can find out all about the region. 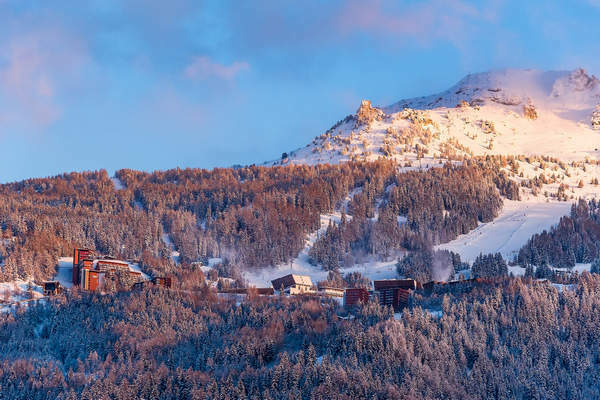 A ski room, discounted lift passes, a regular bus service taking you to the Les Arcs cable car and the Les Ecudets chairlift up until La Rosiere, which then takes you up to the slopes in just 7 minutes! 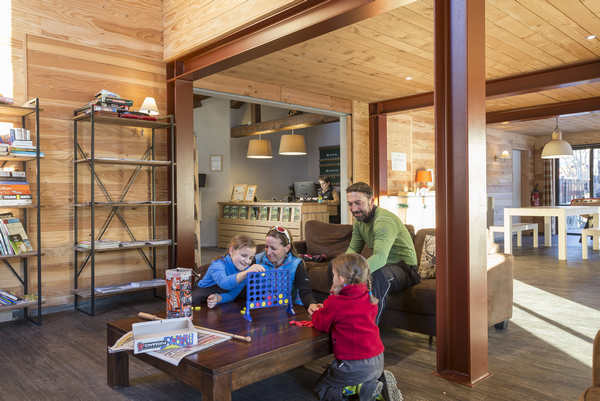 And when you get back off the slopes, relax in the Central Lodge with hot drinks or a board game. 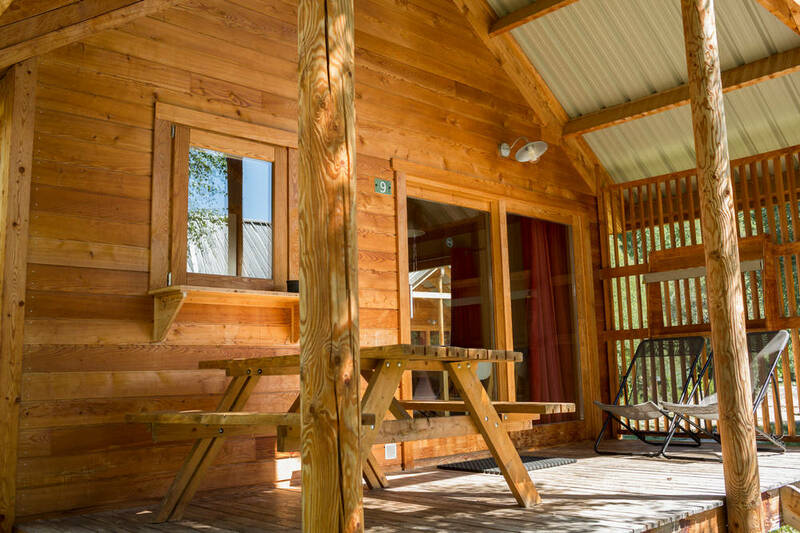 Come and stay with us in the summertime too! 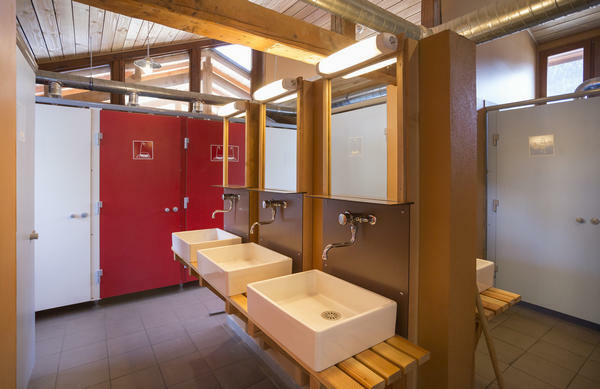 Huttopia Bourg Saint Maurice campsite is the ideal destination for enjoying the fresh mountain air in the summer in the heart of the Alps. Bed sheets and towels provided ! 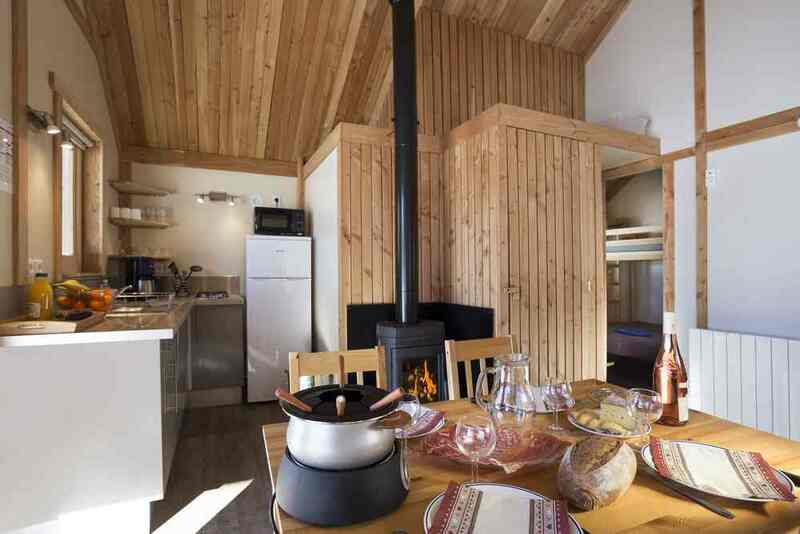 Stay at Huttopia Bourg Saint Maurice winter caravanning site in a wooden chalet for up to 6 people. 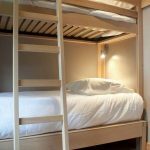 Choose a low cost option for your next snow holidays in the heart of the Alps, just a stone’s throw from Les Arcs. 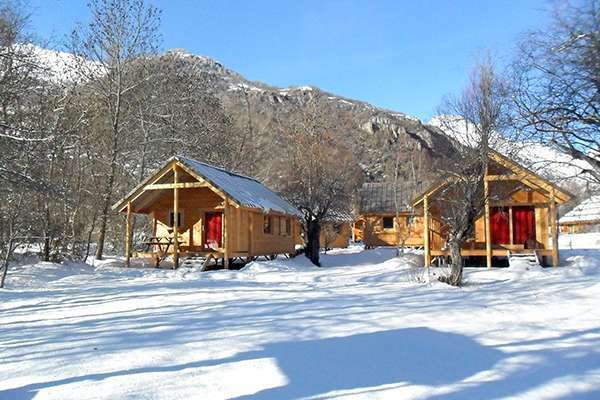 For your winter holidays in the mountains, camp at Huttopia Bourg Saint Maurice, on the road to Les Arcs! 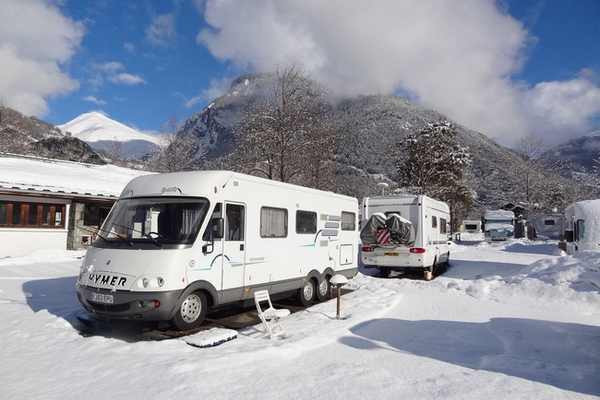 Set up your caravan or your camper van on one of the pitches designed for winter caravanning, with beautiful views of the mountains, just a stone’s throw from the town centre and the ski resorts of the Tarentaise. 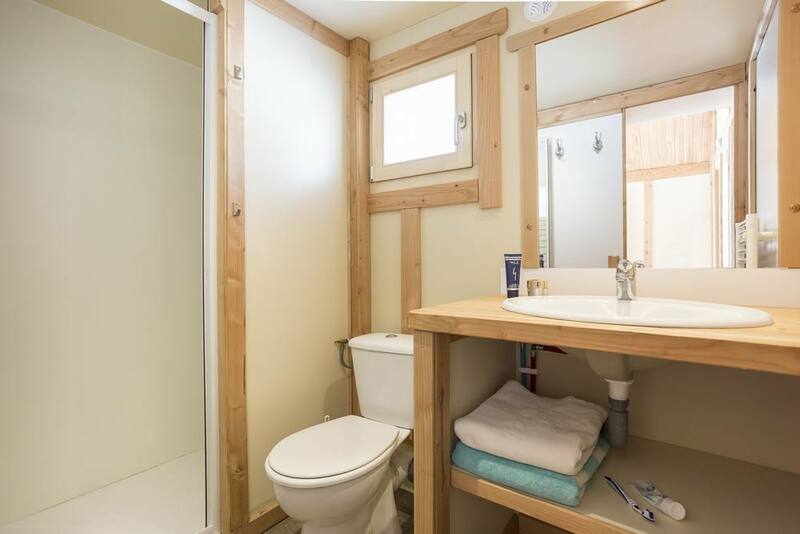 Huttopia Bourg Saint Maurice winter caravanning site has two fully renovated, comfortable and spacious, heated washrooms. 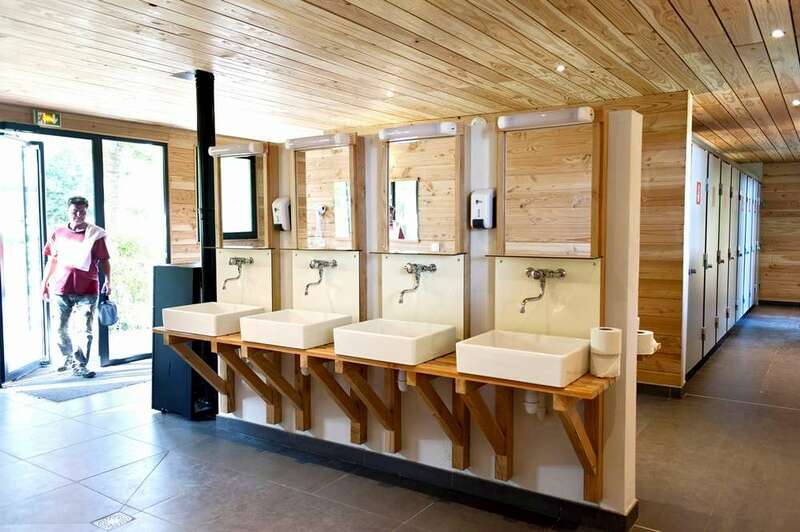 The washrooms are accessible to people with reduced mobility. > A bread service with fresh bread every morning so you can hit the slopes with plenty of energy! 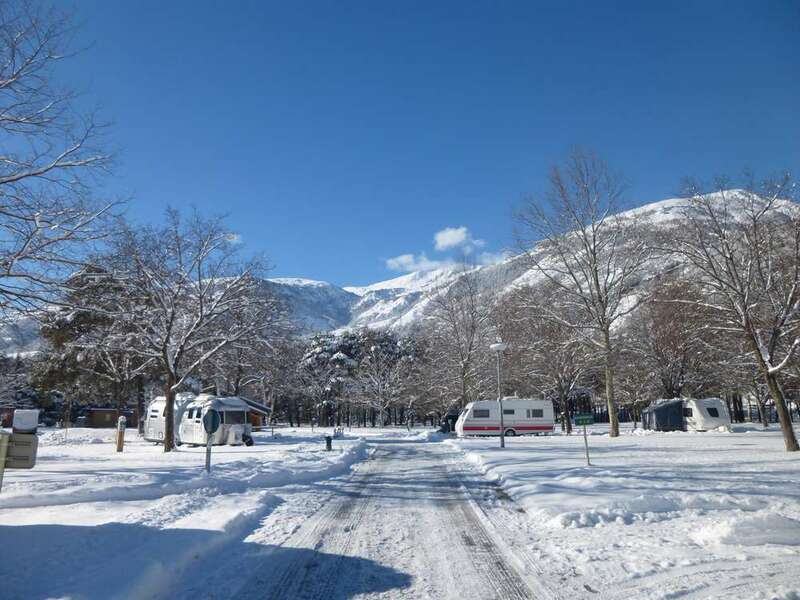 Whether you are staying in a caravan, motorhome or rental chalet, you will love the services at Huttopia Bourg Saint Maurice for a fantastic winter sports holiday. 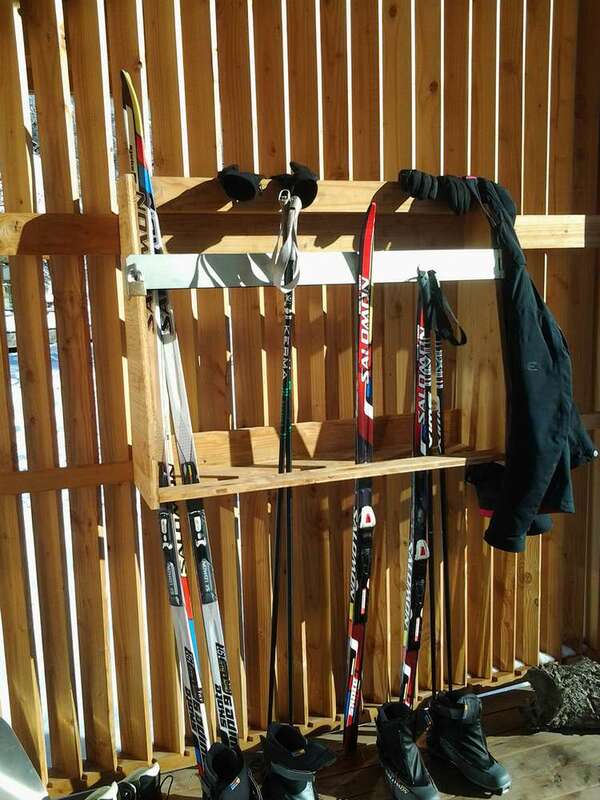 > A Ski Room for your ski gear. 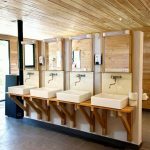 > A drying room, which is much appreciated after a day of skiing or walking in the snow. 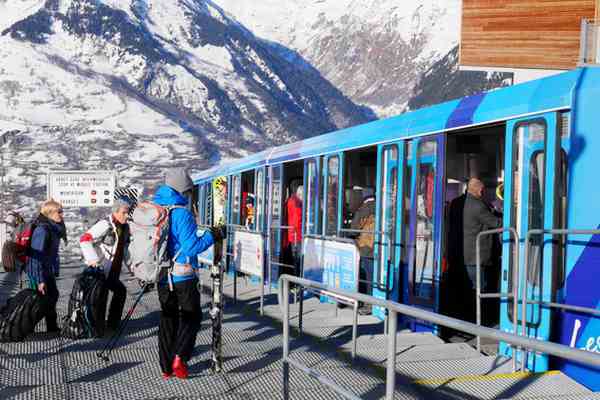 > In addition to bus stations for Les Arcs and La Rosiere, Huttopia Bourg Saint Maurice offers a free shuttle bus service to the funicular for Les Arcs 1600 (book in advance). Reach the funicular in just 5 minutes and 7 minutes later you will be on the slopes! 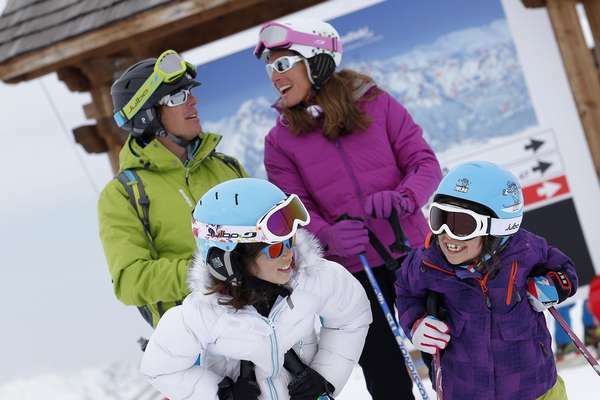 > Discounted ski passes on sale at reception. 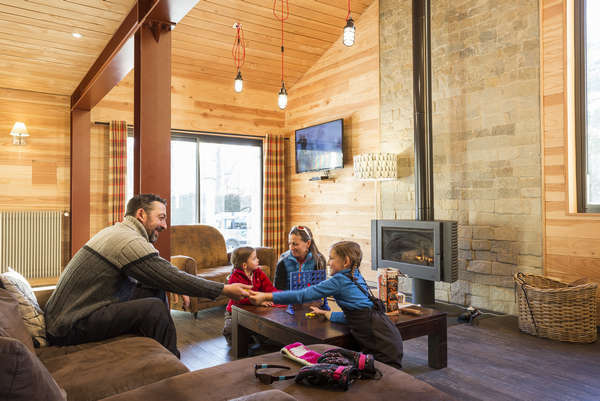 > A Central Lodge where you can settle back and relax after a great day of skiing. > Order your bread and pastries the day before. Because we are committed to working with local producers, the village bakery delivers us every morning. > There is a grocery corner with some delicious local products and our selection of best wines. Buy your lift passes at reception at discounted prices! NEW! 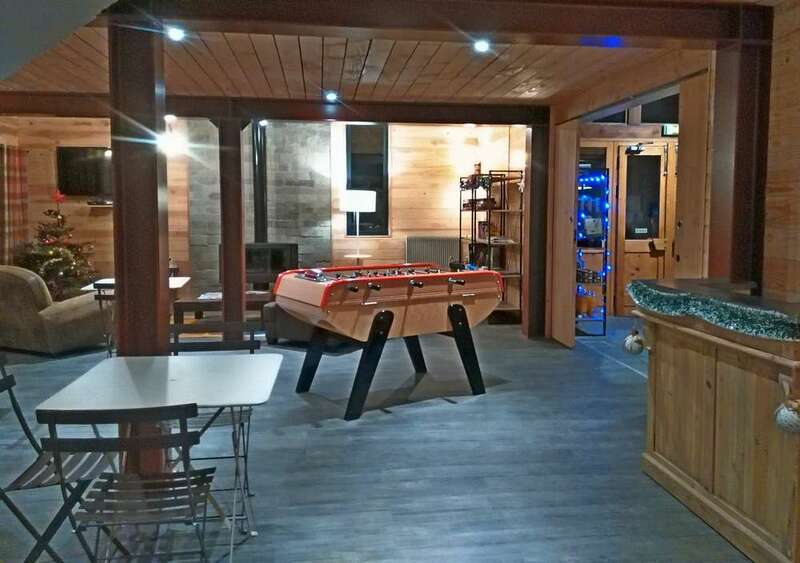 The ideal place to get together after a day of skiing to relax on the comfortable sofas, read a book while enjoying the warmth of the log stove, watch TV, play a game of table football… It’s the holidays! The little extra: you can make yourself a hot drink (tea or coffee) anytime. What better way to relax after an action-packed day! > Need to stay connected? 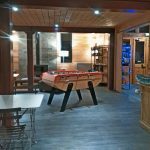 There is free wifi in the Central Lodge and a computer with internet for your use at reception. > Want to travel light? 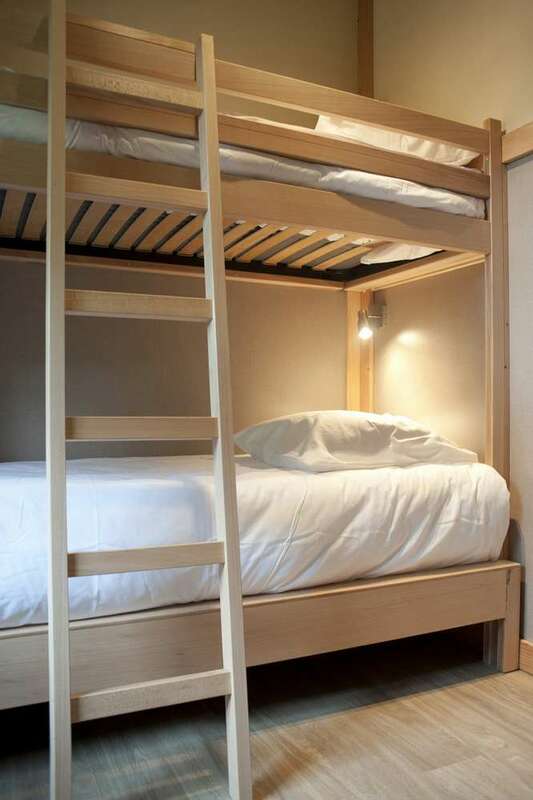 Sheets and towels are provided with your accommodation! Cinema 800 m away, restaurants, shops. 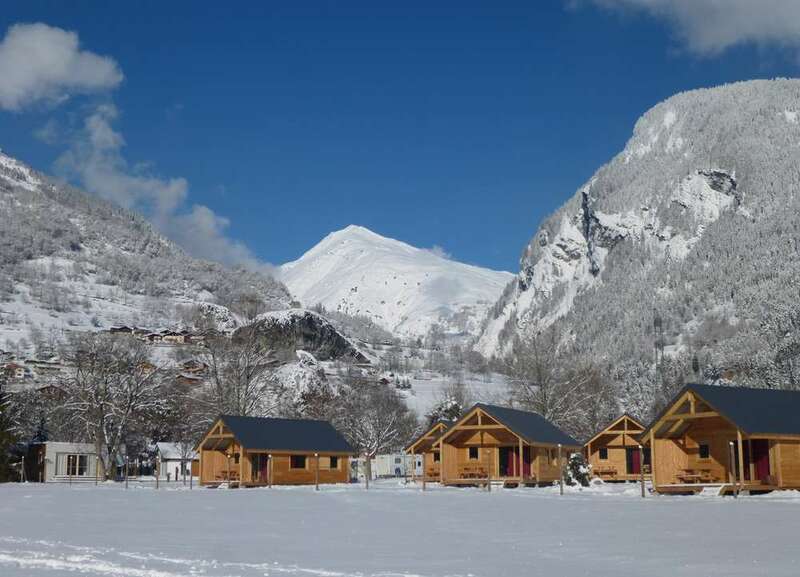 Stay at Huttopia Bourg Saint Maurice campsite, at the gateway to a snowsports paradise. 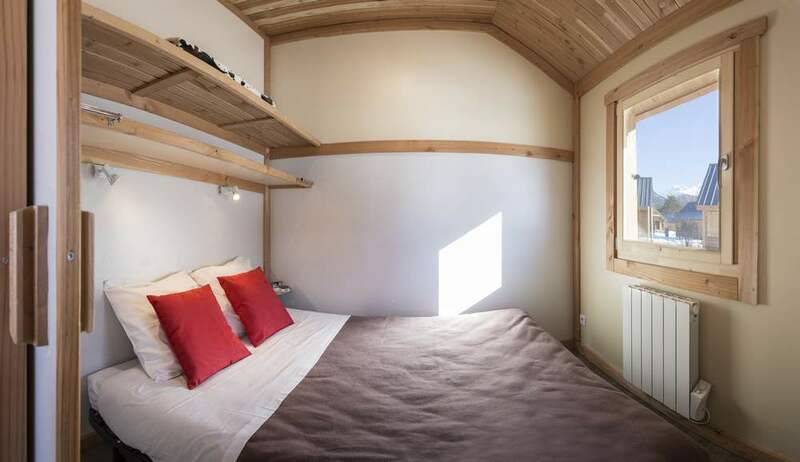 (Les Arcs / Peisey-Vallandry / La Plagne) is the second largest ski area in the world and can be reached in less than 15 minutes from your chalet or pitch with the campsite shuttle bus and then the funicular. 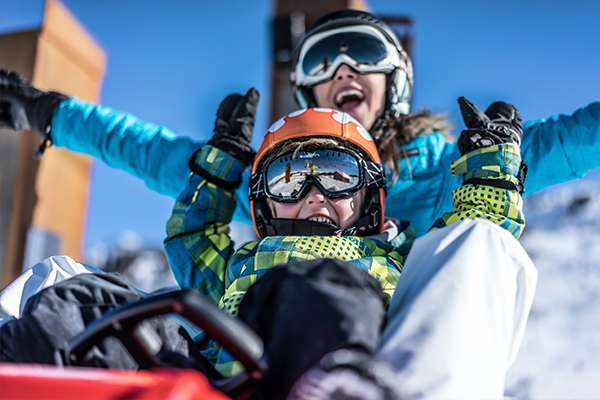 With 425 km of pistes and 70% of the ski area above 2000m, exceptional snow conditions are guaranteed! 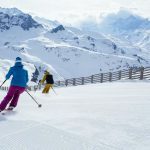 Make the most of the central location of Bourg Saint Maurice, at the crossroads of some of the best ski resorts in France, to explore new ski areas. 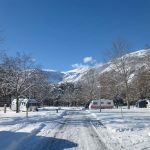 The KILLY ski area (Tignes and Val d’Isère) and the San Bernardo ski area (La Rosière and La Thuile) are only about 30 minutes from the campsite. Ski over to Italy and enjoy a delicious pizza on the slopes for lunch! Snowboarders and freestyle skiers will be right in their element too. The resort of Les Arcs 1600 has a fantastic snowpark. 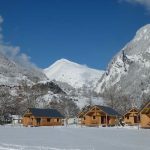 There is some great cross-country skiing to be enjoyed at Peisey-Nancroix, with views of the Mont Pourri and Bellecôte glaciers. 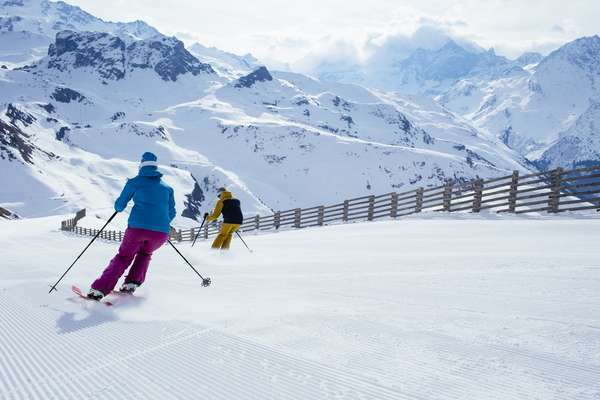 Also boasts 68 km of cross-country ski tracks distributed across Arcs 2000 (5 kms of slopes), Arcs 1800 (5 kms of slopes), Bourg-Saint-Maurice (15 km of slopes) and Peisey-Vallandry (43 kms). So get your skis on! Do you love the mountains but don’t ski? You can explore the slopes of the Beaufortain and the mountains on the Italian border with snowshoes! There are endless walks for you to enjoy. For example, you can explore the magnificent plateau of la Sassière at the foot of the imposing Ruitor mountain. Huttopia Bourg Saint Maurice offers a free shuttle bus to take you to the funicular (5 minutes from the campsite), which runs from Bourg Saint Maurice to Arc 1600 in just 7 minutes. Then all you have to do is put on your skis and you can hit the slopes of the Paradiski ski area! Les Arcs and La Plagne are connected by the “Vanoise Express” cable car. 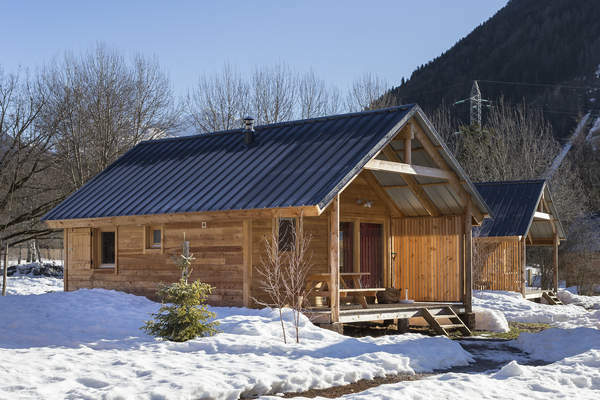 Enjoy our specially-negotiated rates and ski at discounted prices in the Les Arcs / Peisey -Vallandry ski area. You’ll enjoy your day on the slopes even better! 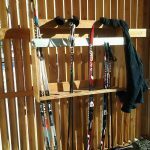 Are you traveling light and don’t have any ski gear with you? 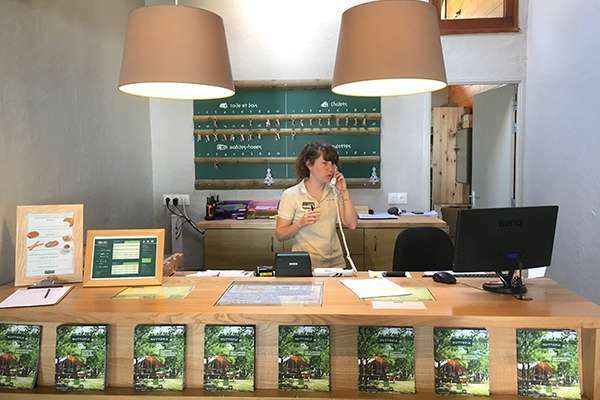 Ask at reception to find out which sports shops are partners with Huttopia Bourg Saint Maurice. 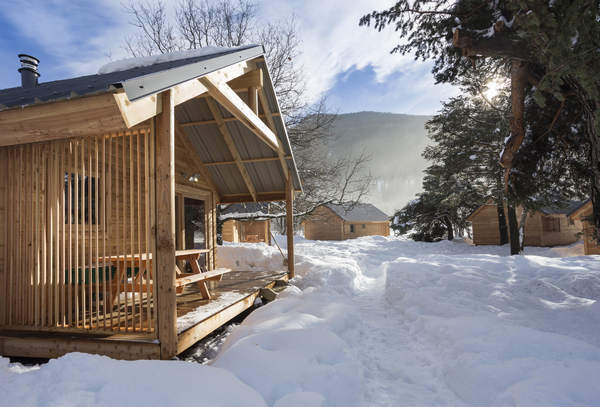 Base camp for mountain lovers. Ideally located, the shops are numerous and the addresses of restaurants very popular at night. Just a stone’s throw from Italy, Bourg-Saint-Maurice, the capital of the Haute-Tarentaise, is the ideal place for exploring the Arcs and one of the largest ski areas in the world, Paradiski. 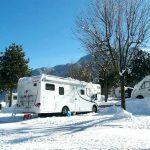 Downhill skiing, cross-country skiing, ski touring, snowboarding, sledging, snowshoeing, ice skating… there are a whole range of calm and extreme sports for you to enjoy with family or friends during your stay at Huttopia Bourg Saint Maurice winter caravanning site. Relax after an action-packed day! After a great day on the slopes, its time to tuck in to a hearty meal. 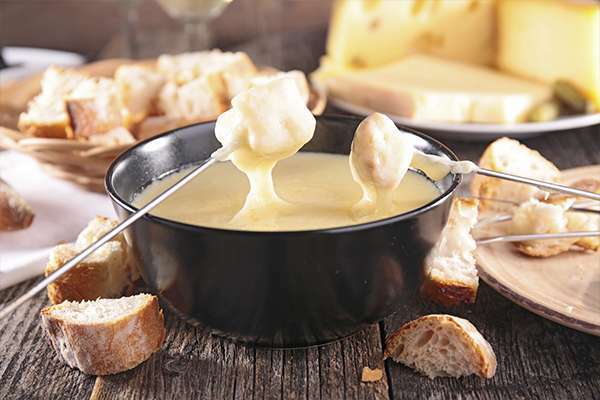 And it just so happens that Savoie has some delicious traditional dishes! With Abondance, Beaufort, Raclette, Tomme, and Reblochon cheeses to awaken your taste beds. Savoyard cuisine is a must! 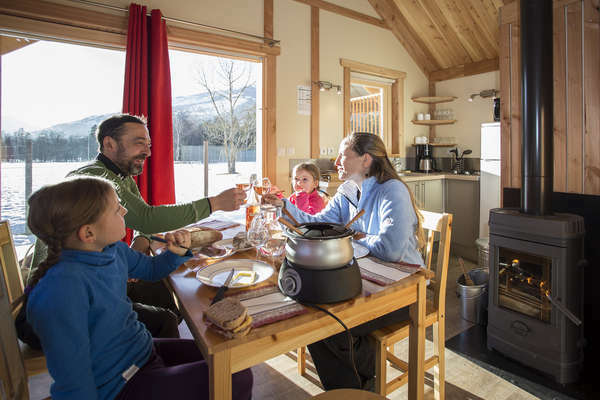 Vary the pleasures during your stay in the mountains: croziflette, diots sausages cooked in white wine, fondues, tartiflette, gâteau de Savoie, all to be enjoyed with a good glass of Apremont white wine. > Take the Aiguille Rouge cable car up to 3226 m altitude and enjoy breathtaking 360° views. 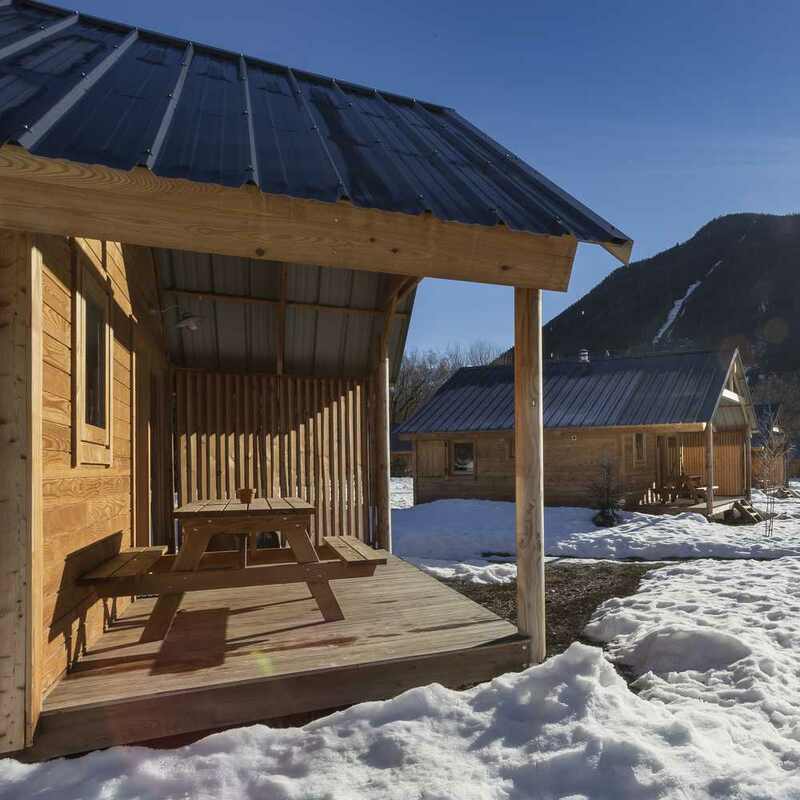 > Visit the largest igloo village in the French Alps, situated in Les Arcs, ideal for children and adults alike. This ice hotel is accessible by skis or snowshoes from Arcs 1950.  > Visit the Mineral Museum In Bourg-Saint-Maurice. > Explore the pretty, traditional village of Le Monal with its quaint little stone houses and tiled roofs. Local tax: €0.66 / day / person from 18 years old. 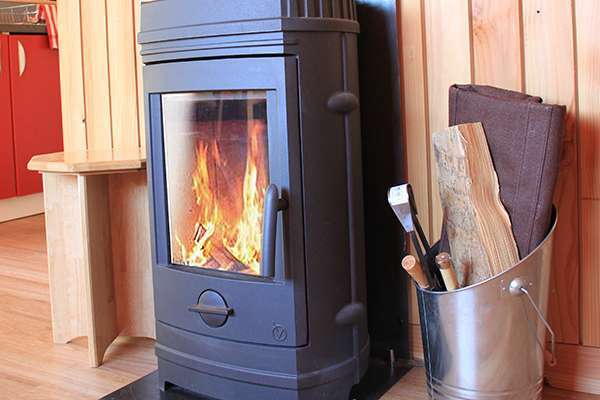 * Prices include taxes and vary according to the booking period. Guideline prices only. Camper van service area: €7 – Free with the pitch. Let us know your preferred pitch or accommodation number at the time of booking. One animal per rental: €4 / day. 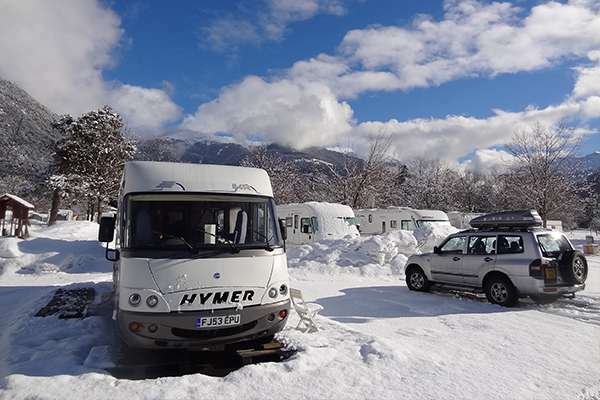 You can park one vehicle for free per pitch or rental accommodation (additional vehicle €5 / day). As above comments. Site was clean and tidy.